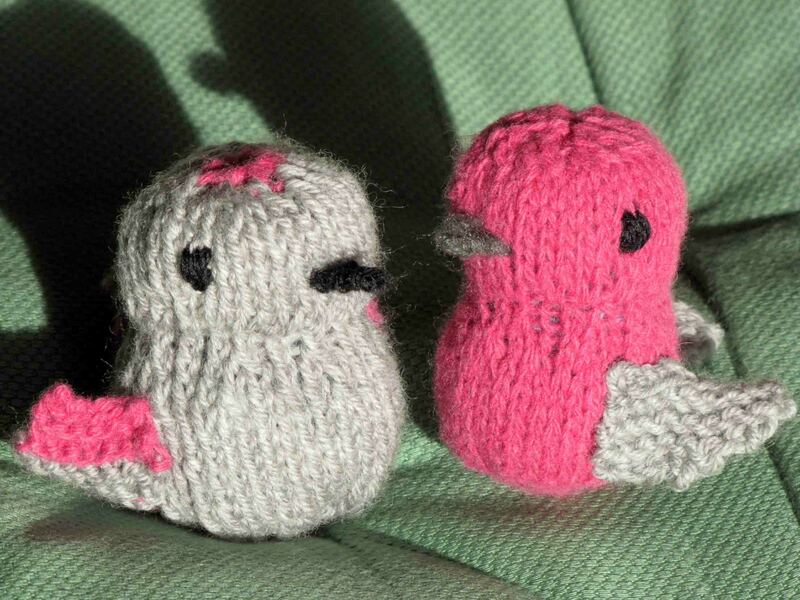 Knitting – Pink and Grey Couple. 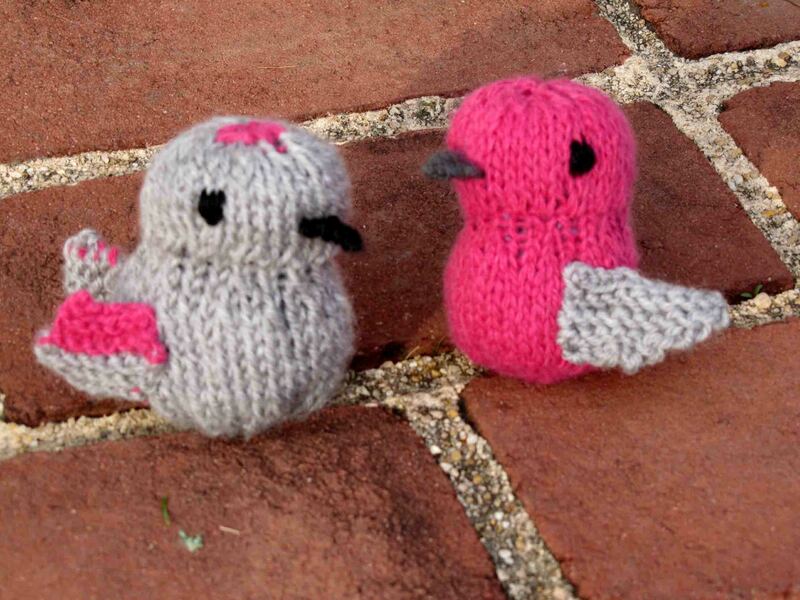 Pink Lady Bird and Grey Gentleman Bird arrive. 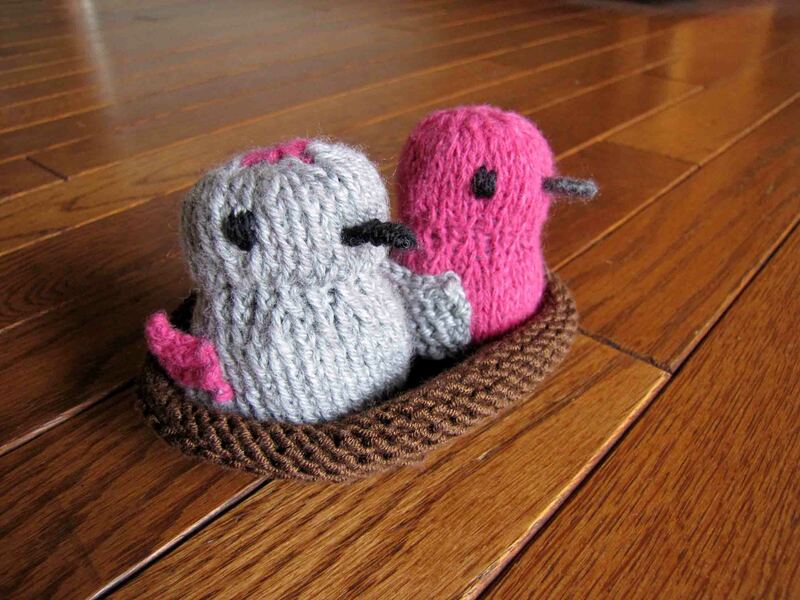 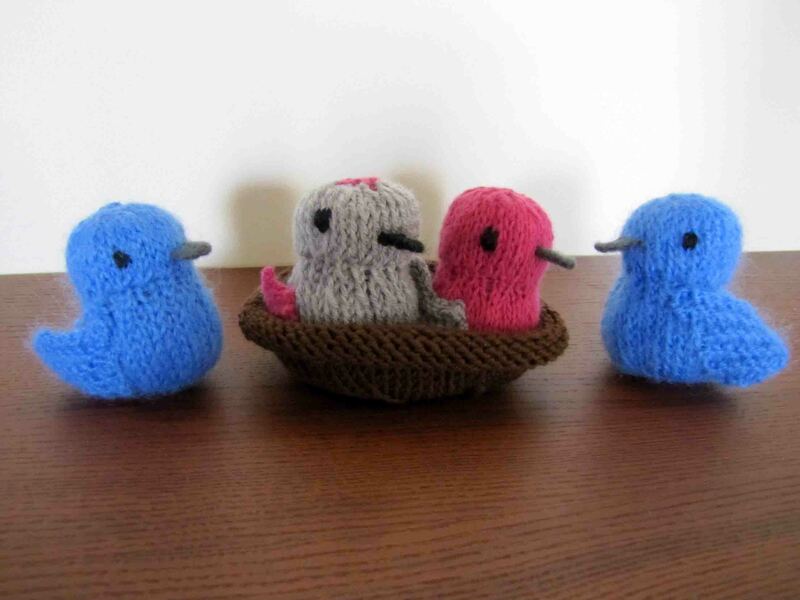 Since they are a couple, I also knitted them a double nest.